This is a pack of fourteen 3/32" ceramic differential balls from ProTek R/C. These differential balls can be used to replace you steel, or carbide 3/32" differential balls for smoother differential operation and longer service life. 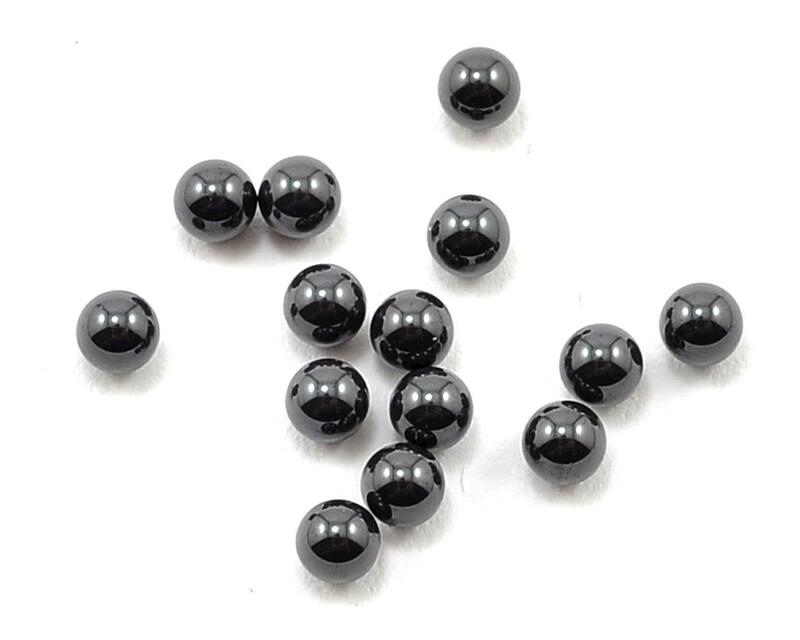 These are the same size as 2.4mm differential balls used in cars like the XRAY T2 family. Our ProTek Ceramic Differential Balls are made from Si3N4 silicone nitride ceramic. Ceramic differential balls have many advantages over standard steel balls, such as decreased weight, higher RPM capabilities, increased corrosion and wear resistance, as well as reduced friction and vibration. So next time you purchase differential balls, when you ask yourself "Why should I buy Ceramic?" You should be asking yourself "Why shouldn't I?" 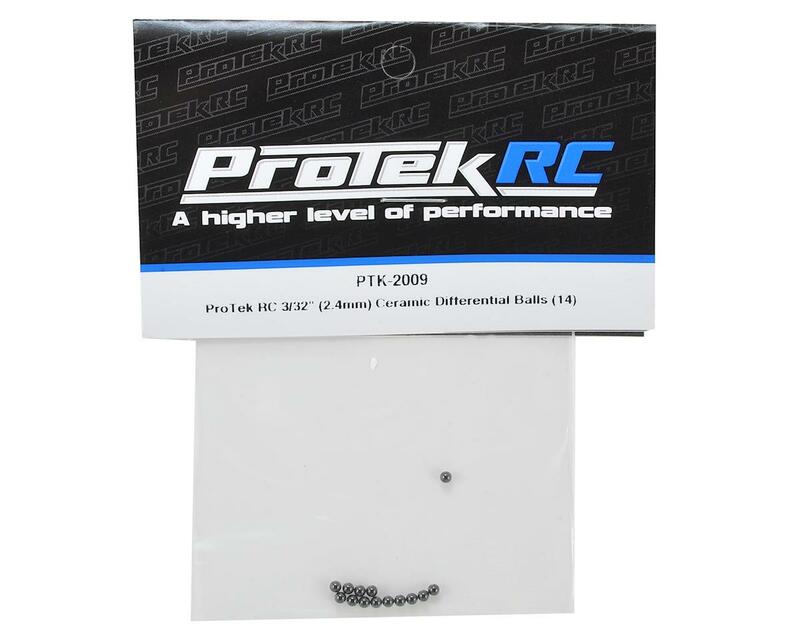 ProTek R/C also offers 3/32" Tungsten Carbide Differential Balls (PTK-2025). Note: Some ball differentials require 12 balls, others require 14. This package contains 14 diff balls to service both. If your diff requires only 12 balls, you will have two unused balls remaining.